There is no better, more effective or more natural looking long term way to replace missing or damaged teeth than dental implants. In fact dental implants are the next best thing to having your own natural teeth and they can transform what was an unsightly and awkward grimace into the radiance of a perfect smile. But dental implants are not a quick fix. The procedure takes time, maybe up to six months, so if you would really like to improve your smile, your self-assurance, self-confidence and your whole outlook on life in time for summer, then you should seriously consider speaking to Britain’s dental implant specialist, Carisbrook as soon as possible. Carisbrook is widely recognised as the UK’s leading dental implant specialist. In fact so high is our reputation for dental implant surgery that dental practices all over the country now refer their patients to us. Dental implants can be used to support single crowns, multiple crowns or even dentures. They are firmly fixed directly into your jawbone and without doubt they are the closest thing to having your natural teeth back. Our specialist oral surgeon, Dr Rob Adams, is perhaps Britain’s most respected dental implant specialist and he actually teaches the subject at Cardiff Dental Hospital. Together with Dr Idrees, who personally makes all the implants, they are probably the most accomplished dental implant specialist team in the country. As we said, the dental implant procedure does take time. And it cannot be rushed. Firstly we assess each patient to confirm that they are suitable to have dental implant surgery. Dental implant treatment entails minor surgery in which we fix the implants directly into your jawbone. And finally, after allowing sufficient healing time, we can attach the specially made tooth, teeth or dentures onto the implants. The results are truly amazing and your new, individually made dental implant teeth will look so natural and they will match your surrounding teeth so perfectly that no one will ever suspect they are anything other than your own teeth. With dental implants you can look forward to having a wonderful, natural looking smile. But just as importantly you will be able to eat anything you like with total confidence. In fact you’ll feel and look so much better that your whole self-esteem and self-confidence will soar as never before. So don’t wait. 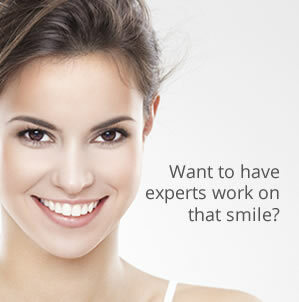 Contact Carisbrook as soon as possible so that you can look forward to having a perfect sunny summer smile. It couldn’t be a better time because right now we’re offering a Half Price Dental Implant Consultation with dental implant specialist Dr Adams. You can call us on 0161 951 7295 or alternatively you can contact us by using the online form on our Appointments page.